Are you looking for a business opportunity that lets you stretch your creative side? Do you believe that preserving our memories is of the utmost importance? Do you want to simply have a fun and rewarding business helping people celebrate and save pictures and mementos from their favorite moments? Then Close To My Heart may be the business for you! Close To My Heart is a direct sales company that offers a wide array of paper crafting products, with special emphasis on scrapbooking and stamping. They offer a wide range of products from papers to inks to embellishments and project kits in coordinating colors and designs. For more than 30 years CTMH has been leading the direct sales industry with their gorgeous products, great hostess program, and generous compensation plan. You can get started with Close To My Heart for just $75 and each kit includes the basic business supplies you’ll need to start your business and is valued at over $200! Along with your kit, you’ll also receive $50 in Select Product Credit that you can use to purchase more supplies of your choice! That means you basically get to join for only $25! You can build your business by hosting in-home classes and parties, at vendor events, or online with your free consultant website! There is even a Straight to the Top Program that helps you to get started with your CTMH business from day one! Sign up as a New Consultant in September and you will receive the From the Heart card kit in your New Consultant Kit at no additional cost — that’s an extra $43.90 value, FREE! I love scrapbooking and memory keeping and helping others like YOU learn to stamp and scrapbook with beautiful Close to My Heart products! I joined Close to My Heart in 1998. I was a Registered Nurse working a full-time job, married and the mother of two active young boys that were involved in sports. I worked my business alongside my full-time job and in 2004, I was able to replace my income and ‘retire’ from my job as a nurse to stay home and work my business full-time! I have been so blessed by this company and I would love to share those blessings with you as well! I have been able to travel the world and see things I would otherwise have never seen because of my Close to My Heart Business and I’d love to show you how you can do the same! I look forward to hearing from you! Cindy Jackson, Director aka ‘ScrapbookCowgirl’I have a special ‘Welcome Gift’ for anyone that joins my team in October! You won’t want to miss it! 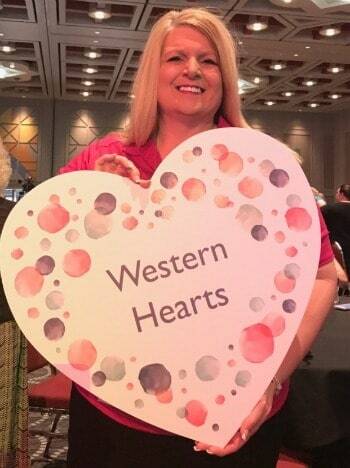 You can check out Cindy’s blog to learn more about how you can join her team with Close To My Heart and be sure to follow her on Facebook, Twitter, Pinterest, and Instagram for inspiration!